The summer months are full of new opportunities to meet people where they are and point them to Jesus. 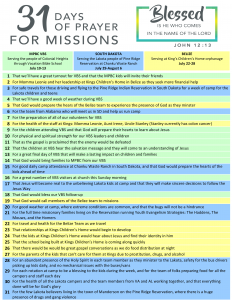 We have set aside the month of July this year to pray with focus and purpose daily for needs related to three missions opportunities. 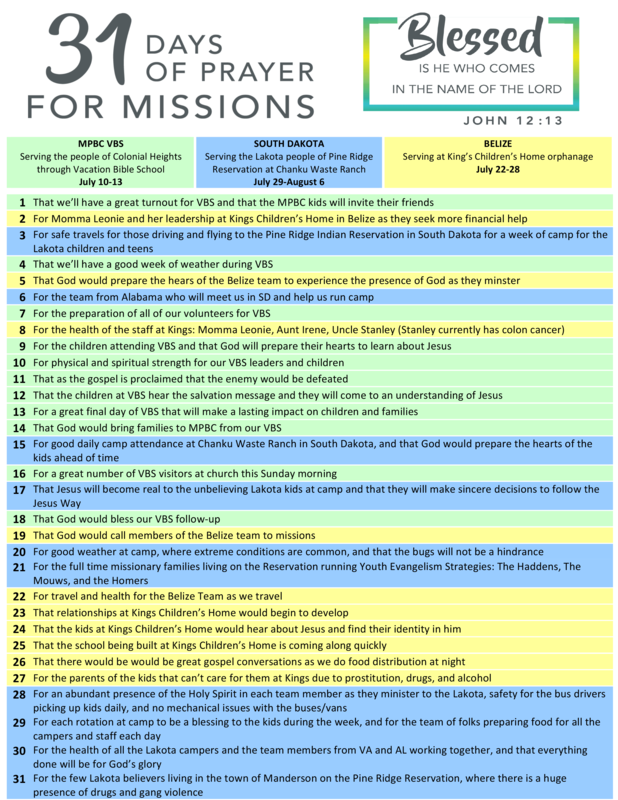 Download the attached day-by-day prayer guide as an image or printable PDF to join us in prayer pray for MPBC Missions going on in our community (Vacation Bible School), nation (camp at Chanku Waste on Pine Ridge Reservation, South Dakota) and world (King’s Children Orphanage in Belize).